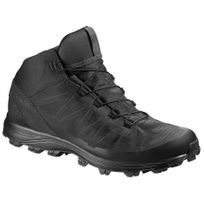 Super-lightweight with ankle protection and outstanding grip, the Salomon Speed Assault Boot is ready for any warm weather and wet operation. From desert deployment to jungle training camps, it will follow any need of speed and lightness. • Mid-cut profile for additional ankle support and protection. • Gusseted tongue material bridge connects tongue to the upper eliminating debris from entering the shoe. • A lace pocket provides easy storage for the Quick Fit lacing system. 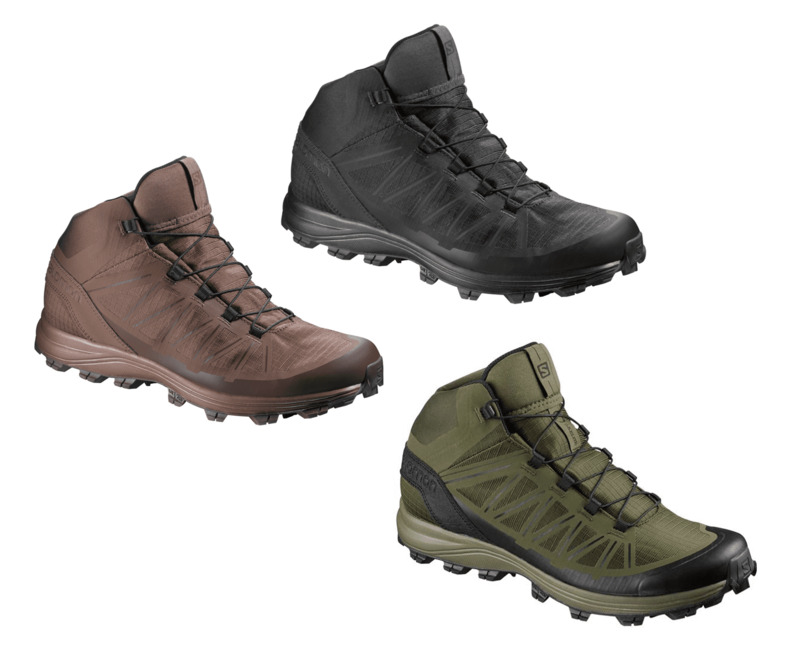 • Sensifit system works to cradle the foot providing a precise and secure fit. • QUICKLACE™ is minimalistic and strong lace for one-pull tightening. Easy-on, easy-off. • An abrasion resistant lining that allows for excellent breathability and quick drying. 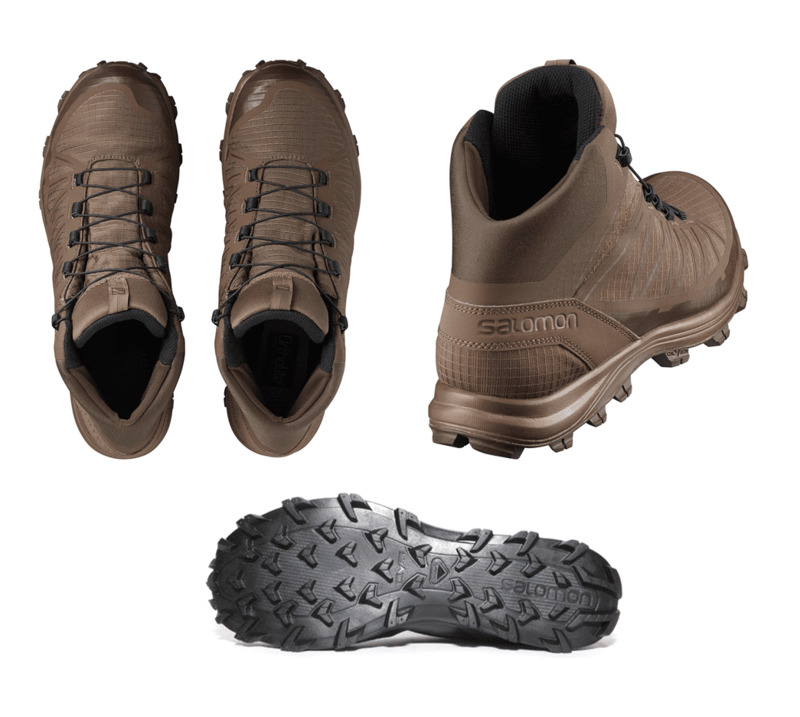 • Delivering optimal traction on varied surfaces, Salomon's Contagrip® outsoles use the ideal combination of specialized rubbers for each specific use. • Molded EVA Provides excellent next to foot cushioning and anatomical support. • EVA shaped footbed provides excellent cushioning and anatomically designed support. 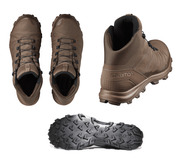 • Anti-debris mesh keeps debris from being trapped between your foot and the footbed. • Non-Reflective Materials built to be furtive and non-reflective for a Tactical usage. • Stealth design & printings for furtive design for a daily Tactical usage. • The stretch heel collar is specifically designed to avoid debris coming into the shoe, the stretch heel collar construction provides better ankle support. 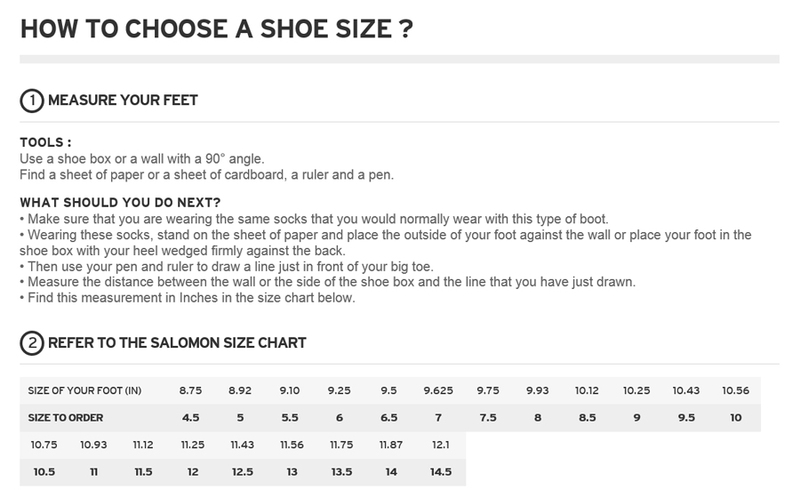 Size Chart: See below for Link.